The Good Hippie was founded in 2011 by owner, Emily McNabb’s friend, who at the time was practicing as a Licensed Massage Therapist. She was concerned about the ingredients found in the commercial creams, lotions, and oils that are available at most spas. Being up to her elbows in lotions all day, she started to see problems in her own skin. The Good Hippie began by developing one product, the body oil, which you can still find in the shop. We focused on all-natural, pronounceable ingredients that are actually good for the skin. We loved the feeling of not only doing something better for her own skin, but also for her client’s skin. After overwhelmingly positive feedback, The Good Hippie was founded and now has expanded into more blends for the body and bath as well as skincare solutions for all skin types . All of The Good Hippie products are designed and tested by Emily and her friends and family. 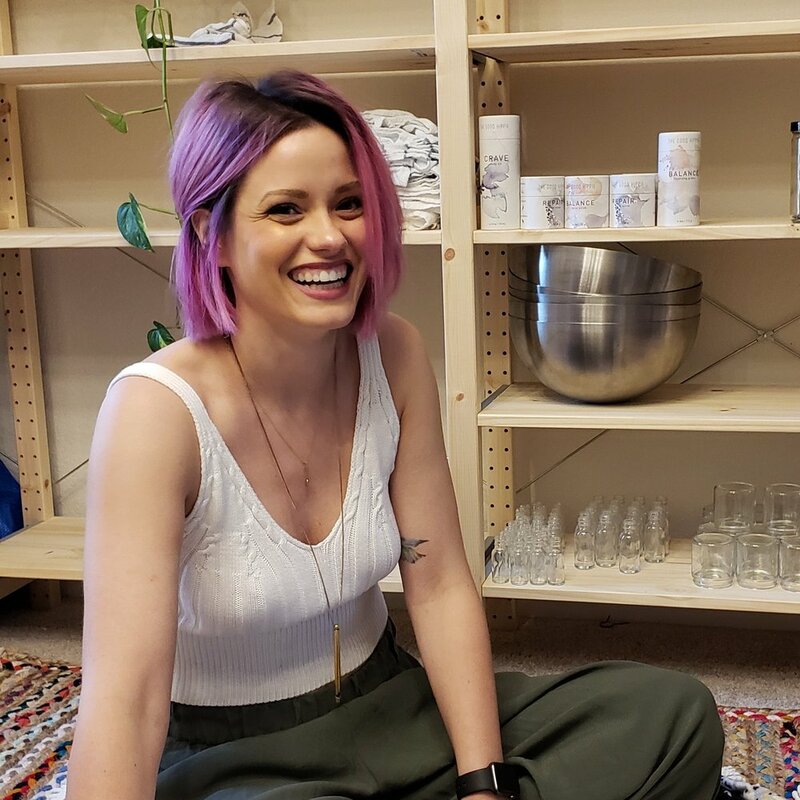 As a professional dancer for most of her life, Emily has always been interested in holistic approaches to health and is dedicated to providing high quality, natural alternatives to everyone. Every detail is intentional- down to the biodegradable bubble wrap. We want to provide high quality natural alternatives that are safe, vegan, and eco-friendly! Join us while we change the world! Branding and Packaging Lauren Cooke Design. Product Photography Ashleigh Amoroso Photography. Watercolor artwork featured on our packaging Satsuki Shibuya.